The Valley Soaring Association (VSA) is all about Soaring and Gliding. Love aviation? Then you’ve come to the right place – WELCOME! Gliding is the purest form of human flight! Flying a sailplane (also called a glider) is as close as you can get to flying like a bird! soaring? gliding? sailplane? You might not be familiar with those terms. Roll your mouse over the menu tabs, visit a few of the pages on this site, and you’ll see what it’s all about. We’ve been around since 1985 ( starting in Vacaville, California ) and have migrated to the northern part of the big Central Valley – Sacramento Valley. We now operate from Williams, Ca. See more about our current location below. The purpose of having a VSA is to increase the enjoyment we get from soaring and flying gliders. We typically depend on others to get into the air, but once airborne, we may be proceeding methodically over hundreds of miles, adjusting our speed, distance and altitude as we go, or we might be leisurely wandering for hours riding the air currents, traveling only 20 or 30 miles away from home before we return. We even compete against each other in speed and distance races. There’s lots of social interaction – but all very informal, yet flying is disciplined, with great attention to safety, and standard operating practices are maintained. We explain it all here on this web site. Browse a bit and see the photos and read the stories – you’ll soon learn what we’re all excited about. Although many pilots of the association fly from various glider ports throughout California and Nevada, we all have have a common interest in the Williams Soaring Center. 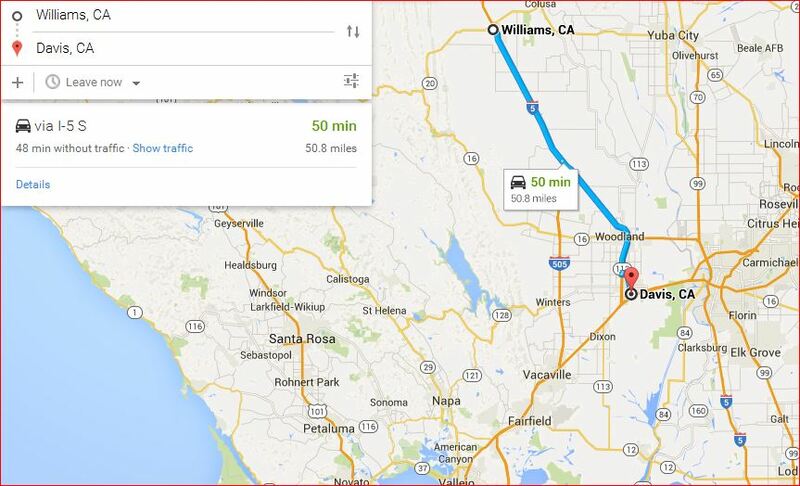 As for our current location, we are hosted by Williams Soaring Center (WSC), located in Williams, California, about 45 miles north of Sacramento, along Interstate Highway 5. It might be easier to show you a Goggle map, with Williams along I-5, Colusa and Yuba City to the East, and Davis along I-80 to the south.